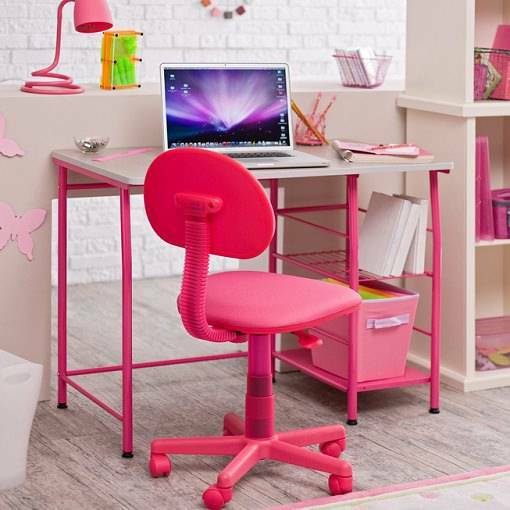 The study table is one of the most important pieces of furniture in your child’s room. 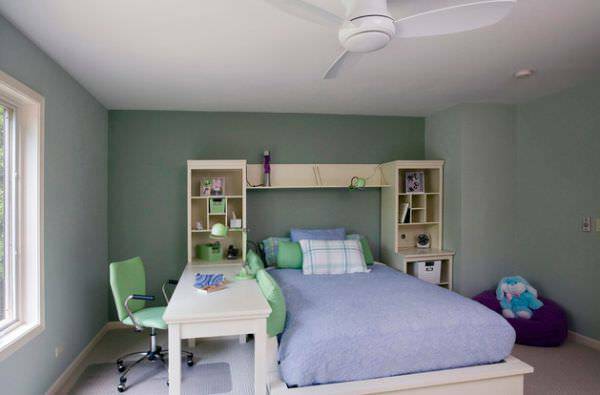 Not only does it need to accommodate school books and stationery, it also needs room for hobby items, childhood knick knacks and perhaps a video game. 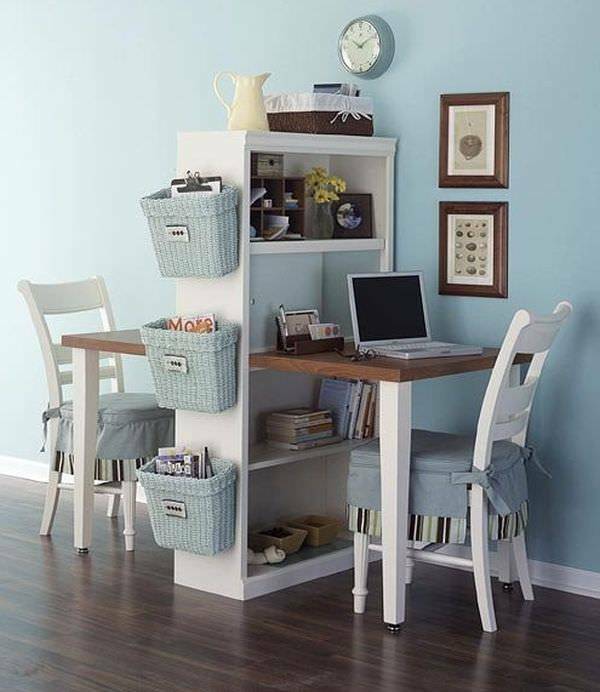 Perhaps the best way to design a study table is to make it a mini home office. 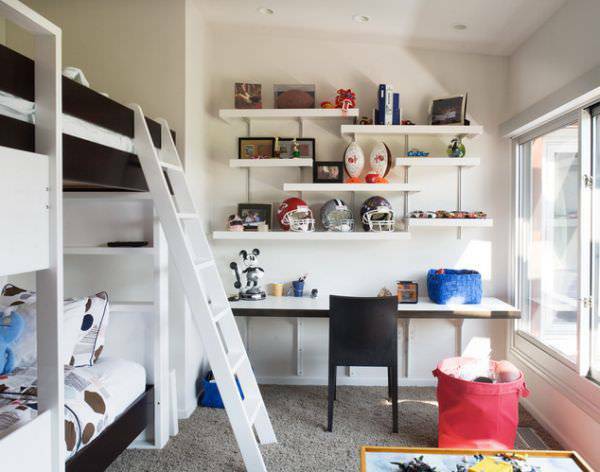 Many kids’ rooms have a bunk bed or a loft bed with a staircase. The steps can be shelves for clothes, books and toys. 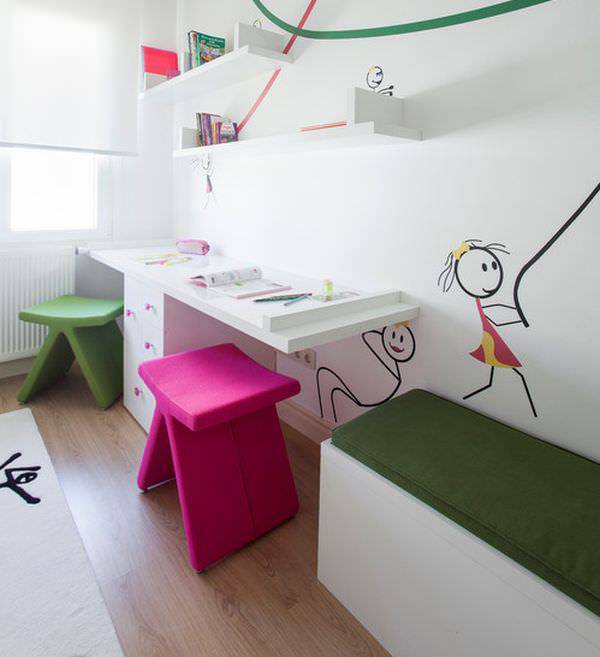 The study table would be built-in below the loft bed or lower bunk. 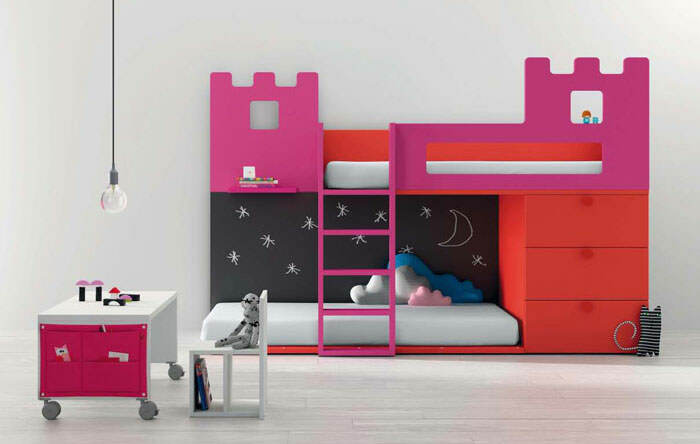 A bunk bed would imply that the room is shared by siblings. 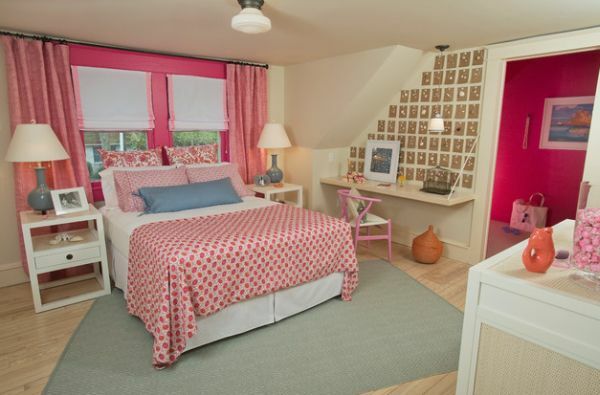 The one below the beds can be given to the younger child. 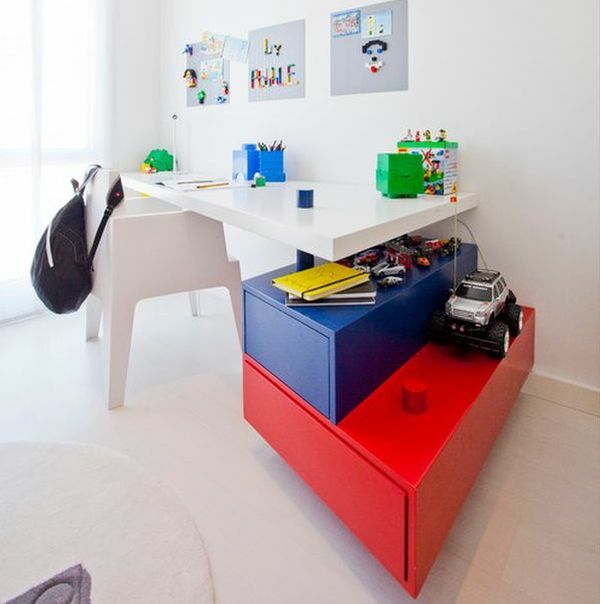 The older child may have a separate, yet identical or similar, study table elsewhere. 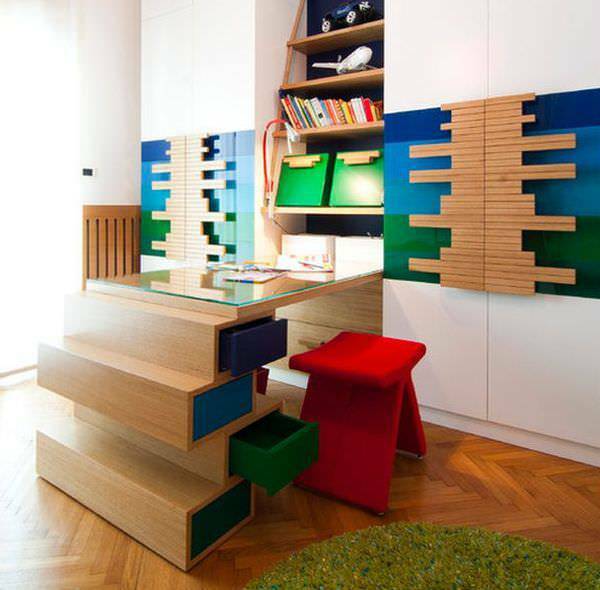 The study table can also be a standalone feature with a built in shelf board or cabinet. The panel below the cabinet could be lined with a board for sticking notes. 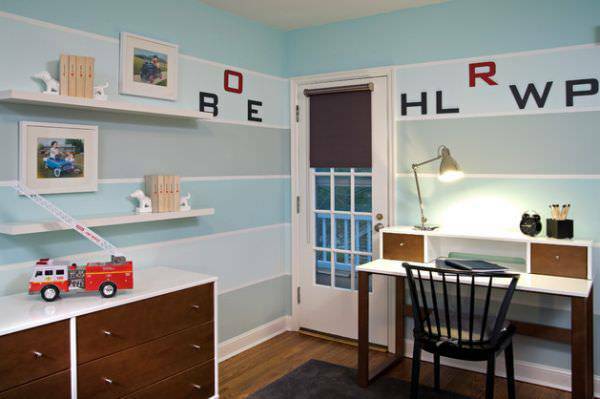 For older kids a standalone bookcase may also be a helpful addition to the table unit. 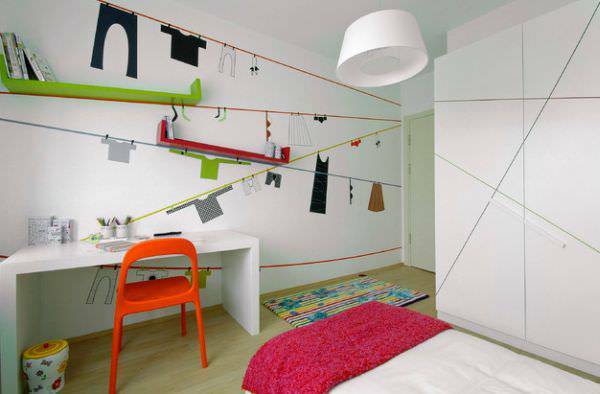 You could also have only a table with drawers and open shelves on the wall above. 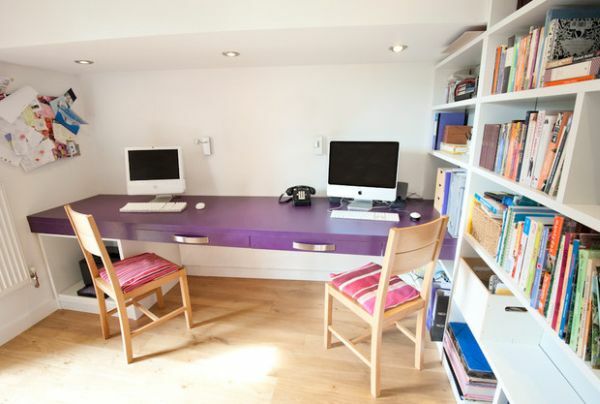 However, the table surroundings need not be all scholarly. 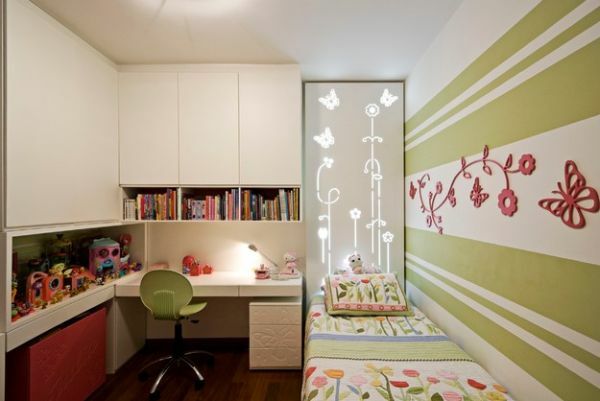 There could be playful elements on the walls, or the shelves could be designed creatively with a theme the child is partial to. This will make studies more appealing. 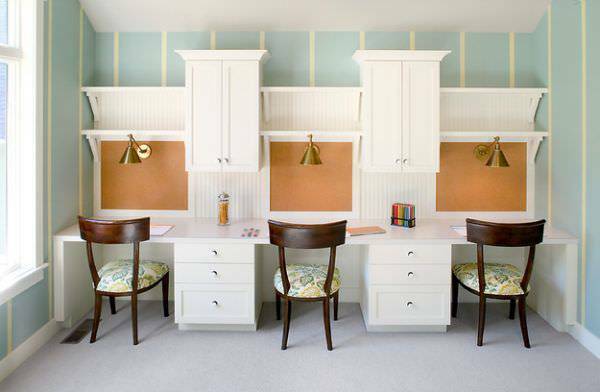 Design the study table as an important component of the room. 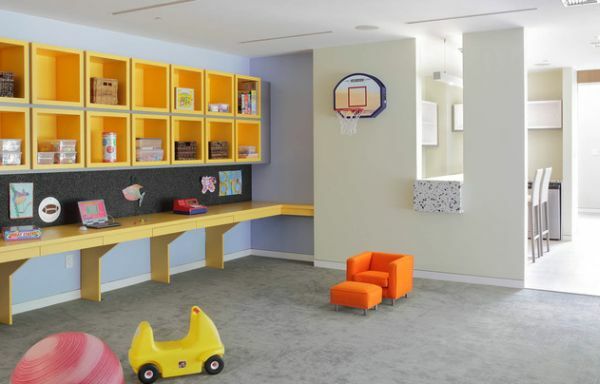 This will inspire your kids to take studies more seriously.